Oilers goaltender stopped all 29 Americans shots, before Hanson scored game-winner with 1:40 left in overtime in Tulsa. 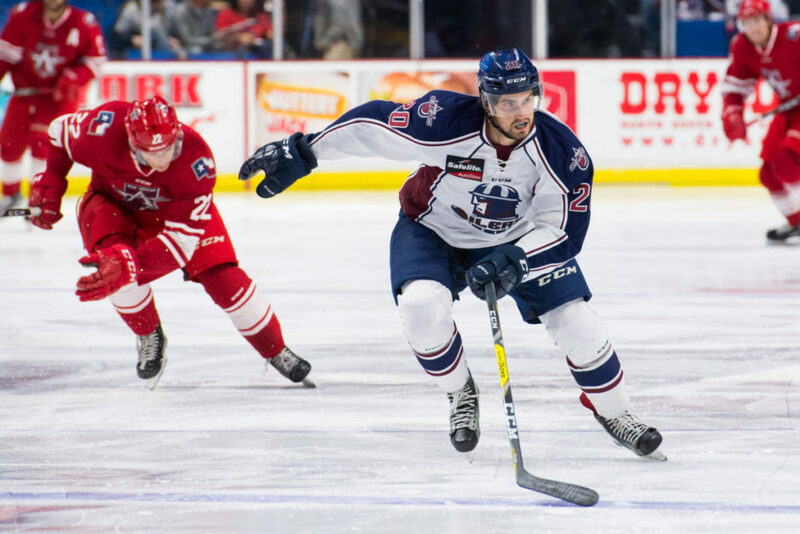 TULSA, OK – It took three-on-three overtime to break a scoreless tie, but Greger Hanson scored with 1:40 left in the extra period as the Allen Americans defeated the Tulsa Oilers 1-0 Tuesday at the BOK Center. Oilers goaltender Colin Stevens turned away 13 Allen shots stemming from three first period power plays, including a 5-on-3 opportunity for the Americans. On his way to his first shutout of the season, Americans goalie Riley Gill turned away all 18 Tulsa shots in the first two periods. He finished with 25 saves for the game. Stevens and Gill matched each other save for save in the final frame, as the two teams skated towards overtime for the second time in the last nine days. Stevens stopped back-to-back breakaway opportunities in the extra period, before Allen’s Hansen scored on the third for his team-leading tenth goal of the season. The Oilers travel to Allen Friday and Saturday for two more games this week with the Americans, before the team gets five days off. Both games can be heard be heard on www.tulsaoilers.com, “Listen Live”, or on ECHL.TV, with coverage starting at 6:50pm CT.